Also known as Sweet pansy, Wood violet, English violet, Common violet and Garden violet. 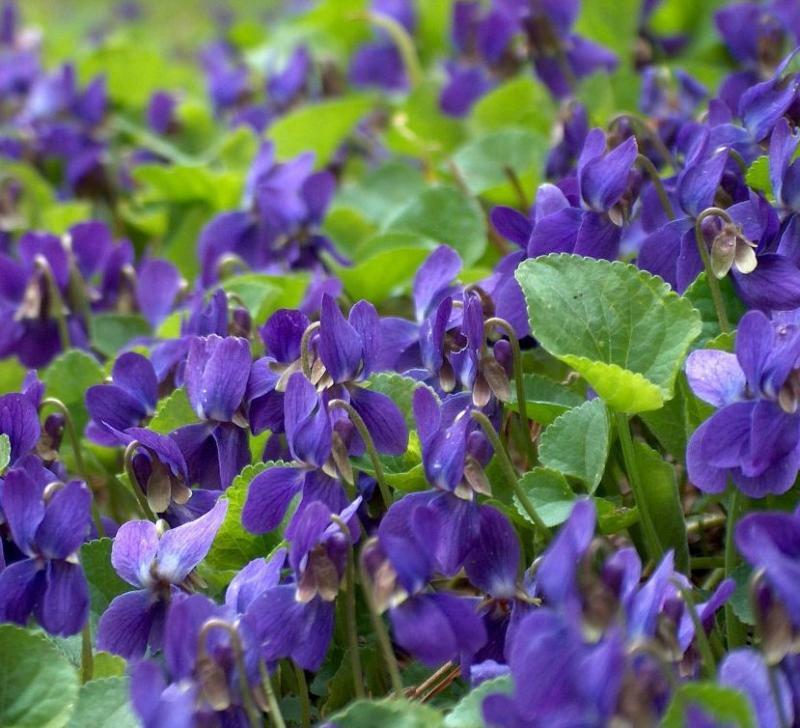 These are the true sweet scented violets as sold by the city flower sellers in the city streets 50 years ago and more - and are the scent 'Parma Violet' sweets are based on. These violets were very popular in late Victorian times. Happy even in quite deep shade, the pale green foliage will carpet the ground. But the real treat comes in late February / early March when the first of the dainty 'lavender-blue flowers appear. In many cases its the scent you will notice before seeing the flower - there is no real way to describe this other than gorgeously sweet! Flowering can continue right through until May - and then sporadically through the year into Autumn.